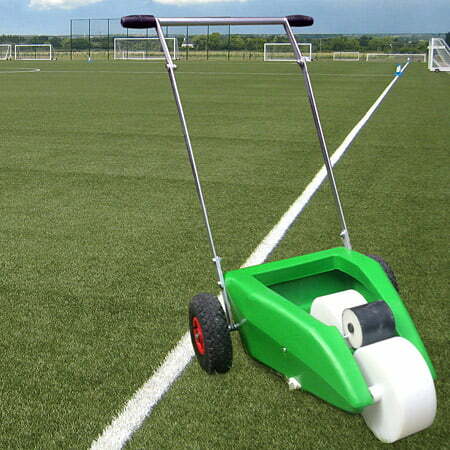 Rollaline 3" Transfer Wheel Line Marking Machine - Mark Harrod Ltd. The Rollaline is a robust transfer wheel marking machine with pneumatic tires ideally suited for use with the unique Preline marking paint. It is also suitable for use with a wide range of line marking paints including Duraline products, Snowcal and all Ready To Use (RTU) paints, Dilutable paints and Mixable Powders. 20 litre polyethylene tank – Totally eradicates any rust contamination issues in the storage tank.